18 Karat gold vermeil over solid sterling silver bangle bracelet by Elefteriu Jewellery. 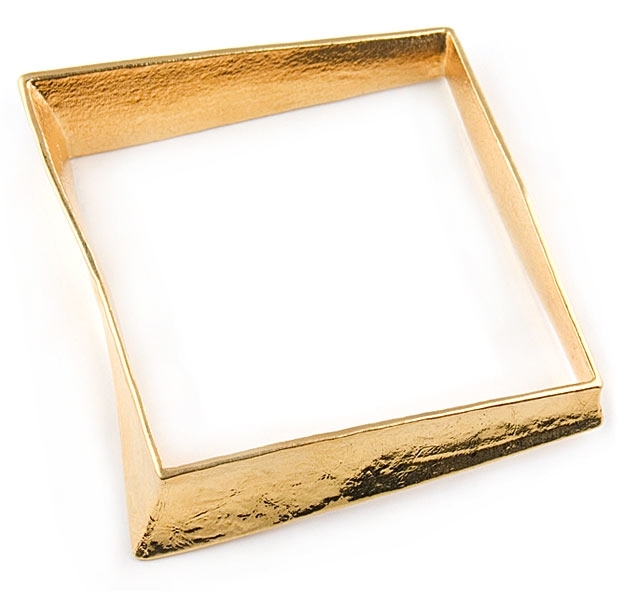 This striking designer bracelet features a unusual square shape and has a crinkled texture. Bracelet measures 2.6" in diameter.